The most eagerly anticipated awards of TIFF 2011! 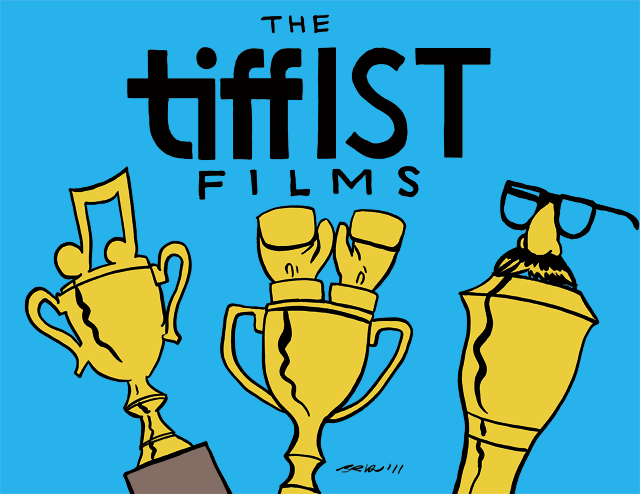 Sure, there’s the Cadillac People’s Choice Award or the FIPRESCI jury prize, but what really counts when it comes to honouring the films of this city’s largest festival is the Torontoist TIFF Awards. There may be no money and little glory associated with the prize, but when it comes to recognizing the under-appreciated categories in the world of the moving motion picture there is no higher honour. We like to think. Runners Up: Well, technically, all the rest of the films at TIFF this year were, categorically speaking at least, films. Except maybe Alex Gibney’s The Last Gladiators, which played like a DVD featurette for Goon, which is very much a real movie.